Give Nana, Grandma, Mom or any special woman in your life a unique gift for Mother's Day or just as great Personalized Gifts for Grandma. 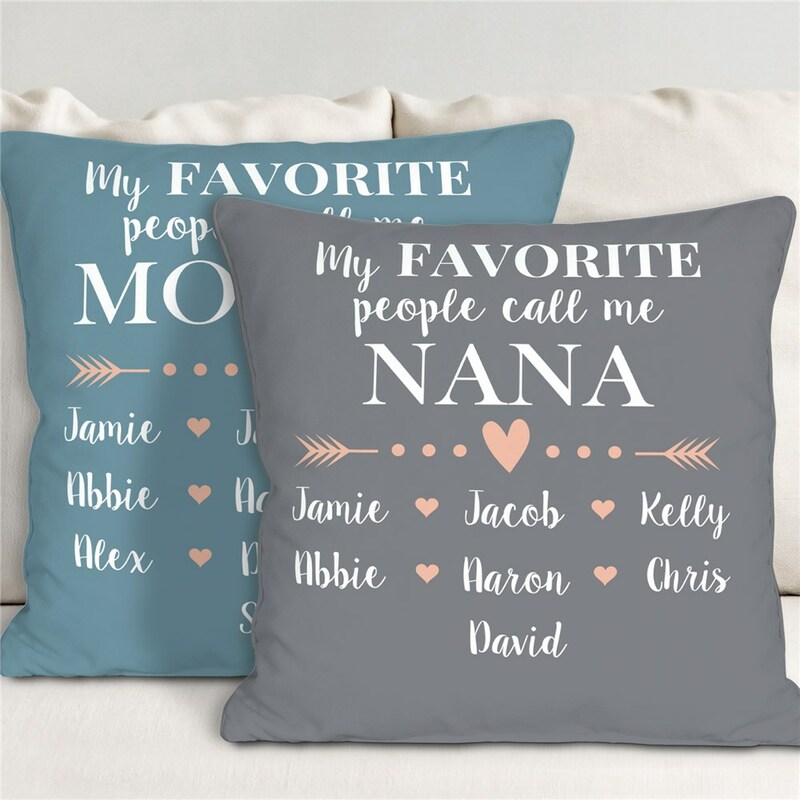 She will love this Personalized My Favorite People Call Me Throw Pillow created with any title and up to 12 names, in your choice of design color. A throw pillow like this is a personalized gift for Grandma that is sure to fill her heart with so much love on Mother's Day, her birthday or any special occasion! Best quality ever! Looks just like the picture! I bought this as a gift to the "other" grandma of my grandchildren. I never know what to get someone who doesn't need anything, so I loved the idea of this pillow. It came out great; my only negative is that the back of the pillow is white, and it would have looked better if it was the same color as the front. Bought the pillow for my son's grandmother who lives far away. She absolutely loves it! !